A Melbourne teenager has been sentenced to 18 years in prison for the murder of a father of four last year. 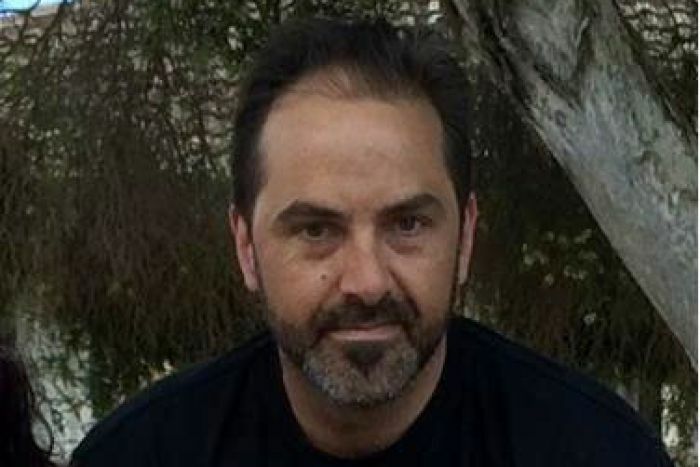 The unidentified 17-year-old stabbed Paul Costa in the neck as he and his accomplices wrestled him from his vehicle in North Melbourne last year. The group of teens planned to use Costa's vehicle as a getaway car in an armed robbery they planned at a supermarket near where the carjacking took place. Their plan was to choke Costa unconscious but he resisted and one of the carjackers stabbed him in the neck with a knife. During the 17-year-old's sentencing hearing, the judge said Costa was dead within three minutes of the time the youths first approached his car. The Victoria Supreme Court judge said, "Mr. Costa could not have been a more innocent victim and this could not have been a more pointless killing." The Victoria Supreme Court heard how the 17-year-old, who was 16 at the time, met 20-year-old Taisi Bartley and 19-year-old Damian Siilata along with two other youths. The group hatched a plan to commit an armed robbery of a supermarket for cigarettes and cash. They then took a tram to Brunswick West where they cased the target and came across Costa sitting in his car dressed in a suit. Costa was waiting for a friend and was about to go on a date when the group of youths attacked. Costa was stabbed in the neck in the struggle covering the backseat with his blood. They dragged him from the vehicle and slammed his head on the ground before dumping his body under a tree in Dunstan Reserve. The group of carjackers then got into Costa's car and realized it was almost out of gas. Related coverage: Australia - NSW Labor Leader Luke Foley Accused By Journalist Of Putting "Hands Down Her Underpants"
"You Could Not Wish For A Better Son"
Costa's father, Alessandro Costa said he could not understand why someone would kill his son just for a car. "Just for the sake of a car, killing a person, I think is ridiculous, outrageous," Mr. Costa said. The court heard how his son worked with him selling Christmas trees and how he was a "gentlemen with customers". He told the court, "You could not wish for a better son." Speaking with the press after the hearing, Costa's father said the death penalty should be brought back. Costa had four children of his own, all boys aged 10 and younger, who are now living with their aunt. Costa's killer could be released on parole in as soon as 14 years. Justice Coghlan said the 17-year-old's potential for rehabilitation was guarded in the sentence. His previous criminal history includes two assaults. The four other youths have already been sentenced for the lesser charge of aggravated carjacking.